Growth in the global organic products market has continued in 2018, with North America consolidating its pole position. Ecovia Intelligence projects regional organic food & sales to surpass USD 50 billion for the first time this year. Consumer demand for organic foods is strengthening. According to the OTA, 83 percent of American families now buy organic products; organic foods comprise over 5 percent of retail food sales in the US. Consumer awareness of organic production methods is also rising in other regions. 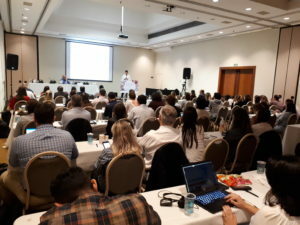 At the recent Latin American edition of the Sustainable Foods Summit, Organis showed that 55 percent of the Brazilian population recognise the Orgânico national seal for organic products. Health reasons are the major driver of organic food purchases. Consumer concerns about pesticides, genetically modified organisms, and growth hormones are the primary purchasing motives in the US. In Brazil, 64 percent of consumers buy organic foods as they are considered healthier. The millennials are wielding greater influence, representing over half of organic food purchases in some countries. The ‘mainstreaming’ of organic foods is making retailer private labels prominent. The leading brands of organic foods in North America are owned by supermarkets. 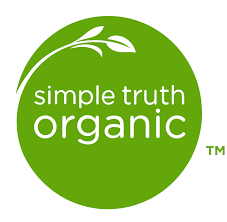 Kroger recently announced that its Simple Truth brand of natural & organic foods surpassed USD 2 billion sales this year. In Latin America, Pão de Açúcar is the leading retailer of organic foods. 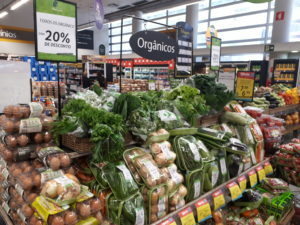 The Brazilian supermarket chain is also actively marketing organic foods under its Taeq private label. The French retail group Carrefour is however planning to become the premier retailer for organic foods in the world. It is currently setting up supply chains for its international retail network to achieve its goal of USD 6 billion sales from organic foods by 2022. As will be shown in upcoming editions of the Sustainable Foods Summit, multinationals are wielding greater influence in the organic food market. Acquisitions has been the ‘modus operandi’ of many large corporations. Almost all leading organic food brands in North America are now in their hands. As the organic food market has expanded, transaction fees have moved from millions to billions; Danone paid USD 12.5 billion for Whitewave Foods last year, whilst Amazon bought Whole Foods Market for USD 13.7 billion. The acquisition trend has spread to other regions. Unilever acquired Mãe Terra and Pukka Herbs last year. Mãe Terra is one of the leading brands of organic foods in Brazil, whilst Pukka Herbs is a UK-based organic tea company. Jasmine, another pioneering organic food brand, was purchased by Otsuka Pharmaceutical. Similar acquisitions are occurring in Asia. The entry of large food companies (and online retailers) is facilitating distribution of organic foods. However, standards remain an impediment to global trade of organic products. For instance, Brazil is becoming isolated as an exporter (and importer) as the country has no equivalency agreements for its organic products. On the contrary, the US has become an international exporter of organic foods partly because it has entered a number of trade agreements. Organic crops are grown in 178 countries, with 87 having national standards. A concern is the lack of harmonization between these national standards, as well as growing number of private standards. A major development this year was the launch of the Regenerative Organic Certification scheme in the US. Developed by the Rodale Institute, the new certification adds social fairness, animal welfare and soil health to the existing USDA organic standard. It has already garnered the support of 42 leading organic brands in North America. Similarly, the Demeter standard is gaining traction in parts of Europe and Australasia. Such standards are becoming popular with organic pioneering enterprises looking to go beyond national organic regulations. As the global organic food market continues to expand, Ecovia Intelligence expects the number of national and private standards to grow. The organic church maybe getting a wider following, however the number of denominations is increasing.